Fifty Lindens for this weekend at Cake Fox SWAG location. Pick either the Rainbow or the Wood option. 1 Li chair, 1 Li table. Mesh. Works for tinies, dinkies, biggies = regular avatars. Shadows included in Li. Made using original textures. PS. 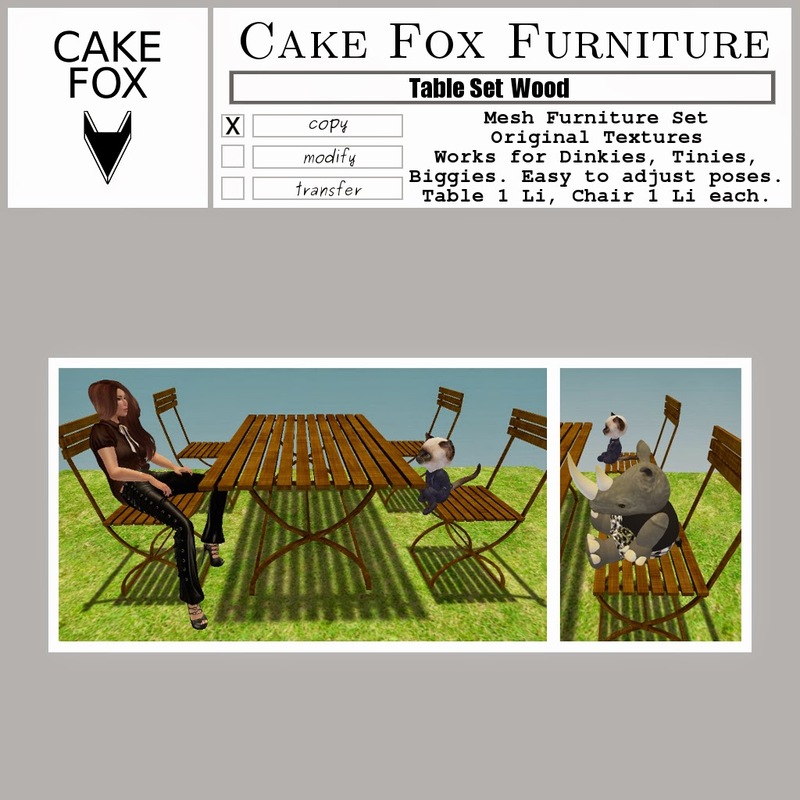 Some people may have the wood set already under a different name (look for "CakeFoxGardenFurnitureSet"), as it was reboxed after the move. 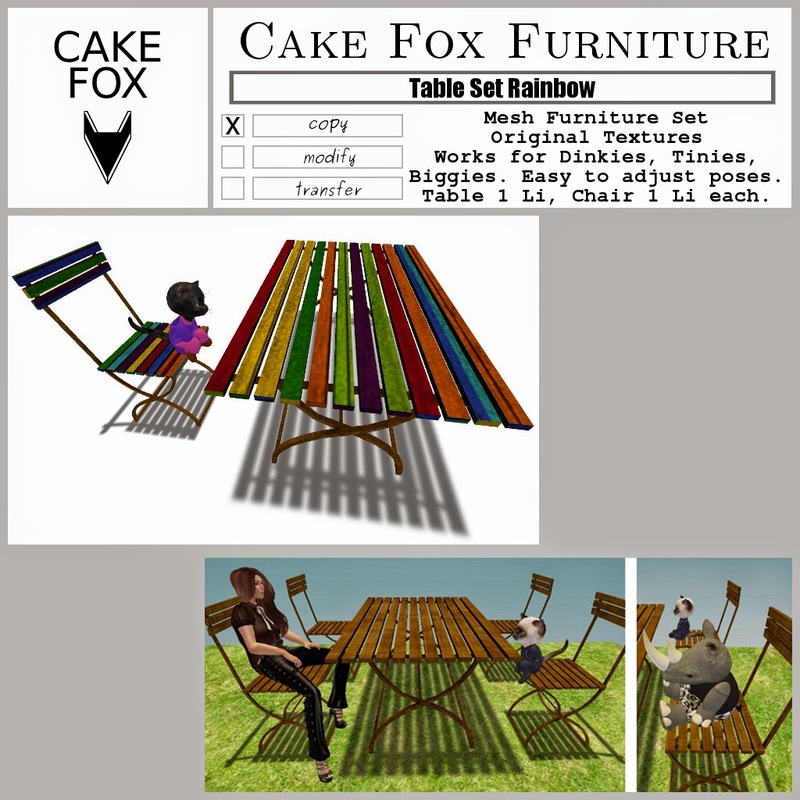 The rainbow textured set is a new release.